Screenplay: Scott Silver, Paul Tamasy, Eric Johnson. 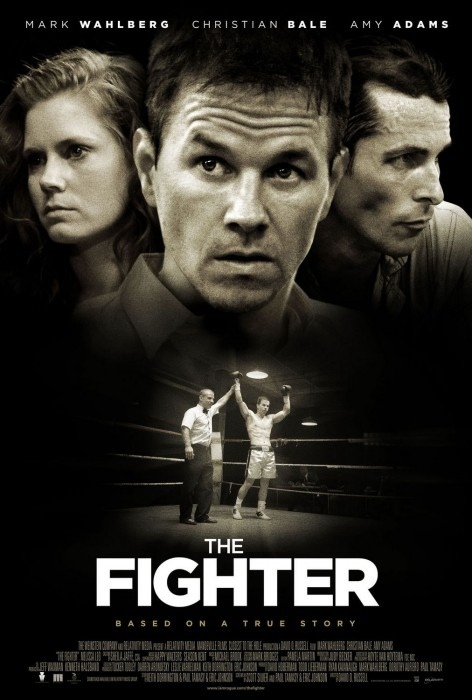 Starring: Mark Wahlberg, Christian Bale, Amy Adams, Melissa Leo, Jack McGee, Mickey O’Keefe, Melissa McMeekin, Bianca Hunter, Erica McDermott, Dendrie Taylor, Kate O’Brien, Jill Quigg, Art Ramalho, Sugar Ray Leonard. Director David O. Russell is better known for his quirky off-beat films like “Spanking The Monkey” and “I Heart Huckabees”, so it’s a surprise to have him craft an absolutely fantastic blue-collar, gritty, sports drama. Based on the real life story of the legendary fighter ‘Irish’ Micky Ward (Mark Wahlberg), who triumphed over a very difficult family situation, including his crack-addict brother/trainer Dickie Eklund (Christian Bale), to become a welterweight boxing champion in the 1980’s. 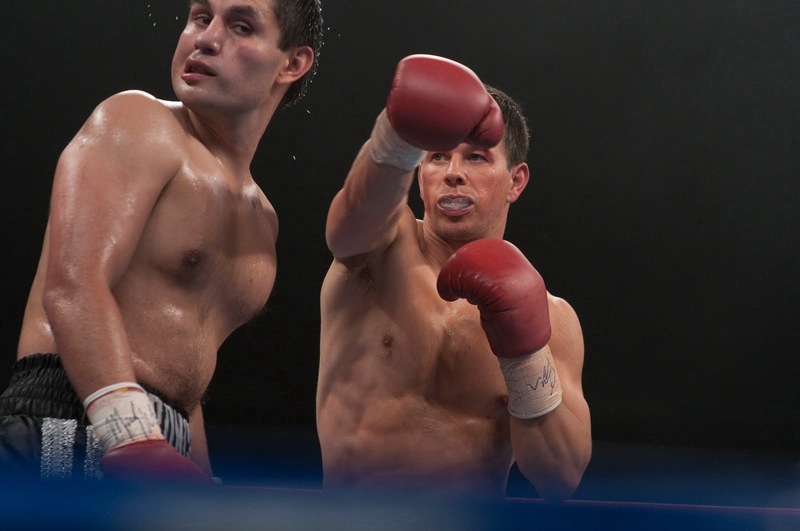 “The Fighter” may seem like an un-original title for a film, but on the contrary. It’s a perfect title for a story that not only describes Micky Ward’s tribulations in the ring but also his ongoing personal disputes with his disfunctional family. Yes, it’s underdog narrative will be compared to “Rocky” but that still doesn’t take away from this fine drama. It’s also similiar in structure to “Raging Bull” where the fight scenes are secondary to the struggle of the man himself. The performances are uniformly brilliant. Wahlberg plays his character right down, delivering a solid reserved show of stoicism and anchoring the whole film. The Oscar winning Melissa Leo as the arrogant and controlling mother lends excellent support. Also fine support comes from the Oscar nominated Amy Adams as Micky’s fiesty girlfriend and it’s nice to see the avuncular Jack McGee (from TV’s “Rescue Me”) getting a decent role as Micky’s father. It’s Christian Bale (also Oscar winning) who impresses most though. He lights up the screen whenever he appears, full of strung-out twitches, dark empty eyes, balding hairline and skeletal features. It’s an absolutely superb transformation from his recent Batman/Bruce Wayne escapades and despite always delivering fine performances in the past, here he has outdone himself. As the narrative arc treads old ground, there’s no mistaking this film is all about the acting, and it’s a fine ensemble working under the surprisingly assured direction of Russell – in this genre. A tight, eventful, rags-to-riches sports flick with never a dull moment and career best performances. This entry was posted on January 26, 2012 at 8:25 pm and is filed under Biography, Drama with tags 2010. You can follow any responses to this entry through the RSS 2.0 feed. You can leave a response, or trackback from your own site.